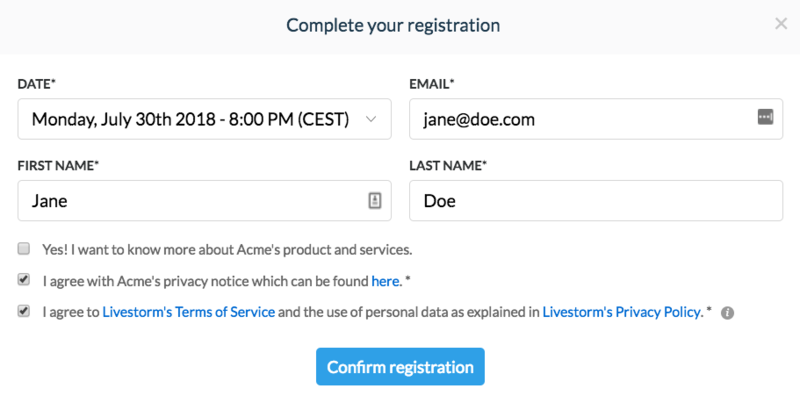 On Livestorm , you can customize your registration form to make sure you are getting the right data on your attendees upfront . 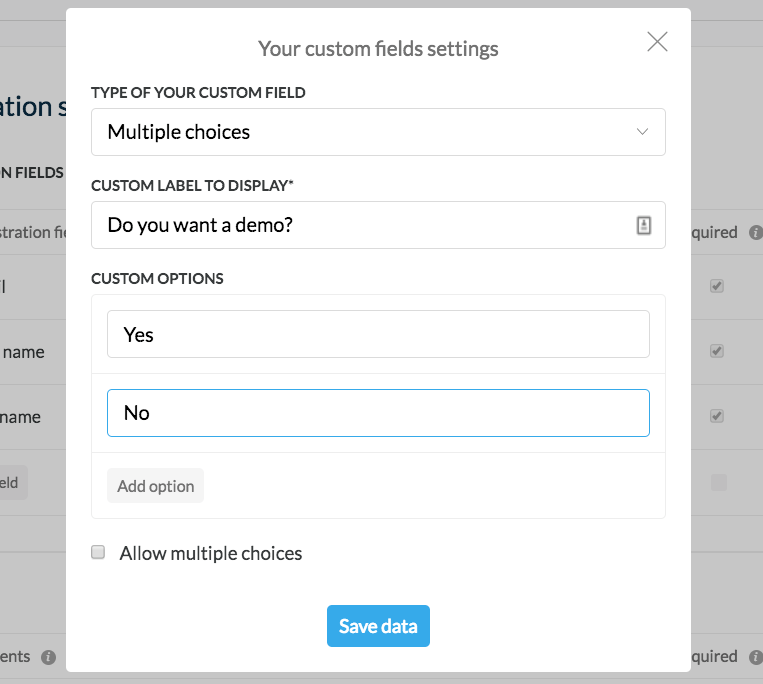 We already have standard fields to help you get started, but you can create any custom field you need. Go to the registration settings in your webinar creation form. 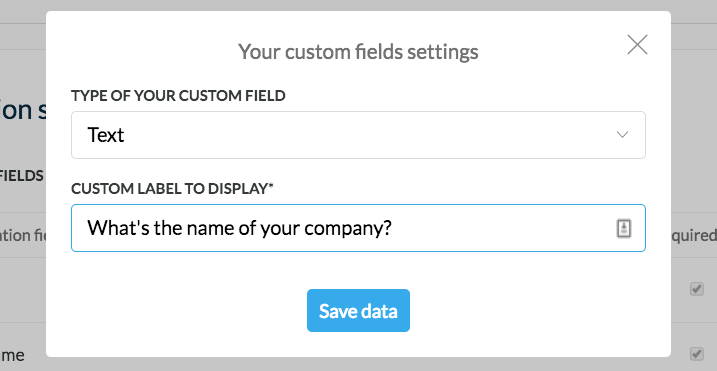 Click on " add a field" at the bottom of your form template to add new fields to your form. 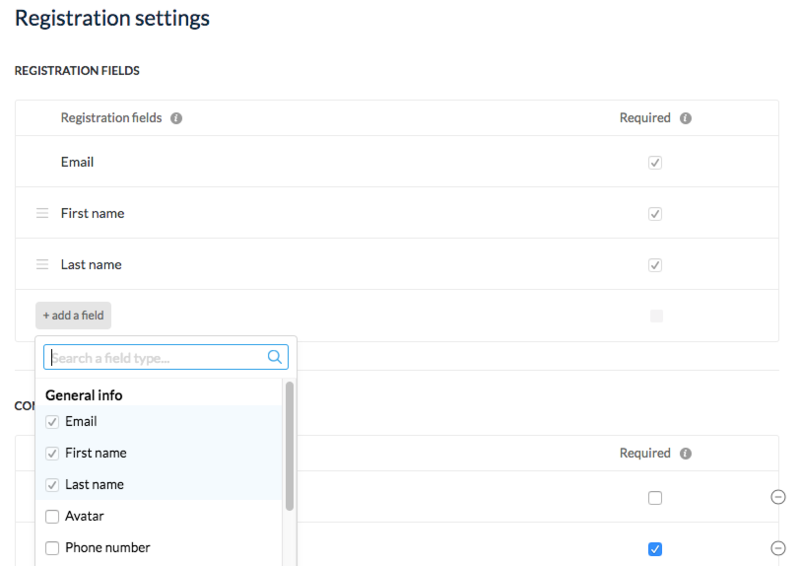 If you'd like to customize your registration form even more, you can add your own custom fields! 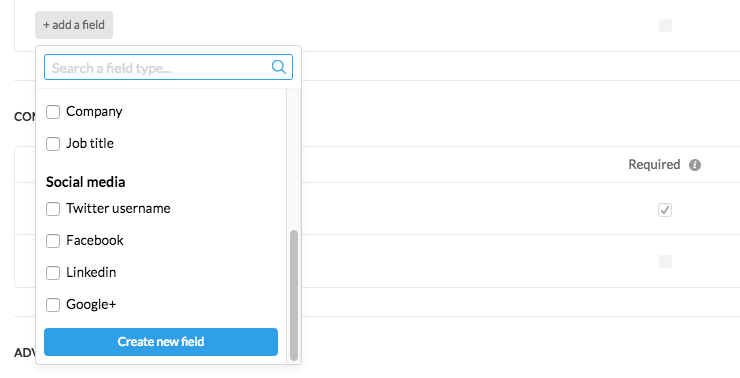 All you have to do is click " add a field", scroll down and choose "Create new field" at the bottom. 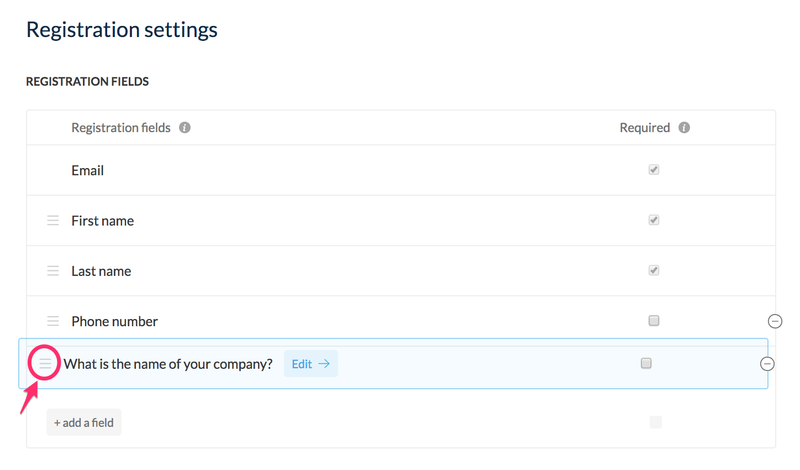 Once you click " Create new field" you can select if you want either a text answer or a multiple choice. For multiple choice questions, you can either collect one answer, or enable your registrants to select multiple choices. For text questions, your registrants will be free to submit any answer they want. Just grab the left border of your fields and rearrange at will. Your visitors will have to fill out that field to complete their registration. 👉 Note: email, first name and last name are mandatory by default for technical reasons. We need these three fields to complete any registration. You can now add your own custom terms as well ! It's just like adding a custom field, except now you choose Consent. You can see learn more about custom consent in our dedicated article 👉 How Do I Add My Own Custom Terms? Can I Use My Own Landing Page to Register Attendees? How Do I Customize My Webinar Branding? How Do I Use the Company Page? How Do I Add My Own Custom Terms?